I had the feeling that there was one final thing left for me to do regarding my research of informed trading activities in connection to the terror attacks of September 11, 2001 in order to close that chapter of my journalistic work once and for all. And so I went back to the 9/11 stories involving Deutsche Bank Alex Brown. I considered it a journalistic obligation to exercise diligence. With regard to the research that I’ve done on the topic of “9/11 Insider Trading” there was one thing that I hadn’t gone after sufficiently enough: so far I had not asked the German Bank for a statement on two particular issues. I also noticed that no one else had asked the Deutsche Bank for it – at least I could not find anything that suggested otherwise. What those two issues were should become evident if I just cite some various e-mails. Moreover, they will give you all relevant links/sources to follow up on the whole story if you want to. I am aware that the format is a bit unusual and a bit hard to follow, but I am confident that you will understand it in the end. On December 31, 2012, I wrote this e-mail to the press department at the headquarters of Deutsche Bank in Frankfurt, Germany ([email protected]), which included two relevant excerpts from my research. Since I have never seen that the Deutsche Bank was officially asked about this, I would like to ask you for a comment on this specific story. But let’s get back to the subject of destruction. On September 11, not only human life, aircraft and buildings were destroyed in New York City, but also data on computers and in archives. For example, several federal agencies occupied space in Building 7 of the World Trade Center, including the Securities and Exchange Commission on floors 11 to 13. One of these companies was the English company group Convar, more precisely: their data rescue center in the German city Pirmasens. Erik Kirschbaum from the news agency Reuters reported in December 2001 that Convar had at that time successfully restored information from 32 computers, supporting “suspicions that some of the 911 transactions were illegal”. ** I specifically asked financial journalist Max Keiser, who for years had worked on Wall Street as a stock and options trader, about the put option trades. Keiser pointed out in this context that he “had spoken with many brokers in the towers of the World Trade Center around that time. I heard firsthand about the airline put trade from brokers at Cantor Fitzgerald days before.” He then talked with me about an explosive issue, on which Ruppert elaborated in detail in Crossing the Rubicon. May I remind you that I’m still waiting for an official statement with regards to my questions that I did forward to you on December 31, 2012? On this occasion I would also like to ask you why then-chairman of the board of Deutsche Bank Alex Brown, Mayo A Shattuck III, actually renounced his post on September 12, 2001? So far I was not able to find an official explanation/statement related to it. However, given the circumstances, the whole thing looks a bit fishy, wouldn’t you agree? A few hours later I received a response from Deutsche Bank in New York City, namely, from Duncan King, the Director of Press and Media Relation of Deutsche Bank in the Americas. Having read Mr. King’s response, I contacted immediately the newspaper The Independent in the UK ([email protected]) with this e-mail in order to get in touch with Chis Blackhurst, the Editor of The Independent. Moreover, I copied the e-mail to Mr. King. Could you forward the following message to Mr. Chris Blackhurst, please? “To the embarrassment of investigators, it has also emerged that the firm used to buy many of the ‘put’ options … on United Airlines stock” was Deutsche Bank Alex Brown? – Allen M. Poteshman: “Unusual Option Market Activity and the Terrorist Attacks of September 11, 2001”, published in The Journal of Business, University of Chicago Press, 2006, Vol. 79, Edition 4, page 1703-1726. – Marc Chesney, Remo Crameri and Loriano Mancini: “Detecting Informed Trading Activities in the Option Markets”, University of Zurich, April 2010. Here is the statement for your piece. Thank you for being in touch. Thus, I am interested if the story related to Alex Brown and the put options on UAL that you have reported on was/is just “speculation,” as far as you were/are concerned. Up to this moment of publication, Mr. Blackhurst / The Independent has not responded. Could you do me a favour, please? Could you get in touch for me with this former employee of Deutsche Bank? Ruppert was contacted by an employee of Deutsche Bank, who survived the WTC disaster by leaving the scene when the second aircraft had hit its target. According to the employee, about five minutes before the attack the entire Deutsche Bank computer system had been taken over by something external that no one in the office recognized and every file was downloaded at lightning speed to an unknown location. The employee, afraid for his life, lost many of his friends on September 11, and he was well aware of the role which the Deutsche Bank subsidiary Alex Brown had played in insider trading. Then I showed him the e-mail that went to The Independent, including the response from Mr. King. Not possible. I got the statement only on the condition that I never identify the source. Are you trying to get them killed? I will never disclose the source. I cannot. I gave my word. I will not put someone’s life in danger. I think that this is an answer that everyone can understand who knows about the rules of high-stake investigative journalism. All told there have been at least ten confirmed homicides in connection with PROMIS/Ptech software. Is it possible to back this up a bit in order to counter the word “speculation” (see below)? I specifically asked financial journalist Max Keiser, who for years had worked on Wall Street as a stock and options trader, about the put option trades. Keiser pointed out in this context that he “had spoken with many brokers in the towers of the World Trade Center around that time. I heard firsthand about the airline put trade from brokers at Cantor Fitzgerald days before.” He then talked with me about an explosive issue, on which Ruppert elaborated in detail in Crossing the Rubicon. Then I showed him also the e-mail that went to The Independent including the response from Mr. King. Up to this moment of publication, Max Keiser has not responded. In addition to all of this, I also contacted on February 6, 2013, Paul Elsberg, a press person of Exelon Corporation, a company where Majo A Shattuck III serves currently as Executive Chairman. 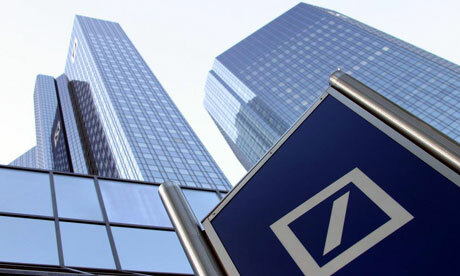 That e-mail contained both e-mails that I had written to the press department of Deutsche Bank in Frankfurt. Would you be so kind to forward the following media request to Mr. Mayo A Shattuck III, please? As a financial journalist from Germany I am interested in the alleged 9/11 insider trading. As you know, there is an aspect to it that involves Deutsche Bank Alex Brown / put option purchases on United Airlines Company UAL through the Chicago Board Option Exchange (CBOE) / and the fact that you renounced your post as chairman of the board of Deutsche Bank Alex Brown on September 12, 2001. As you can see below based on the request that I did just forward to the press department of Deutsche Bank, so far I wasn’t able to find an official statement related to your demission of job. Therefore, may I ask you for such an explanation, please? Up to this moment of publication, there has been no response to my request from Mr. Elsberg, nor Mr. Shattuck. Lars Schall is an independent financial journalist.